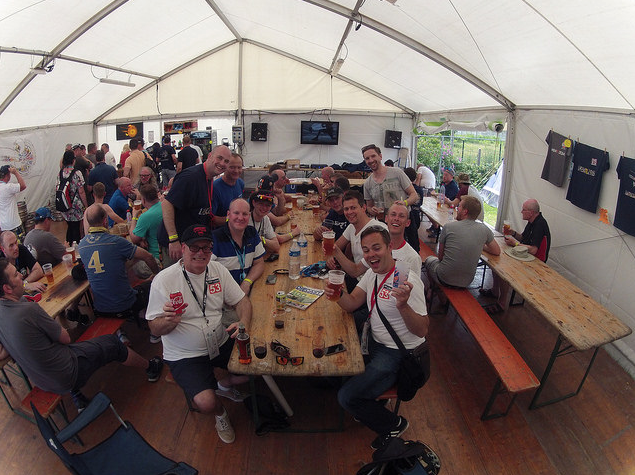 Relaxed and slightly more mature Le Mans veterans, mainly British. Perhaps the biggest test for your navigator early in race week. 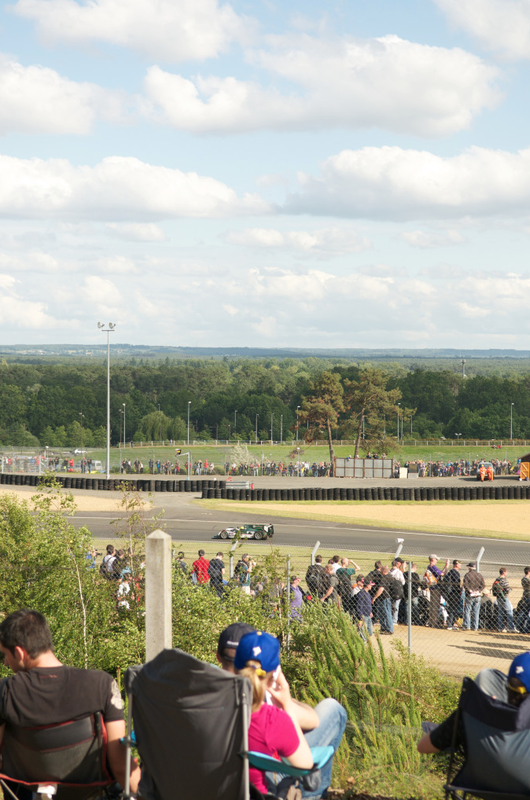 Located on the outside of the track but within the GA ticket area it overlooks the track between the Dunlop Bridge and Tertre Rouge corner. What a location! If the access were easier this would be a five bottle campsite. Although it scores low on some aspects of our ratings, the position can't be beaten. Plenty of flat non numbered but marked out pitches and suitable for motorhomes. First come, first served. Near the live music stage, and straight across the Dunlop bridge for the Guiness tent, and the Village. Unsurprisingly noisy here during race. Tickets can be really hard to obtain. Access during race is difficult. 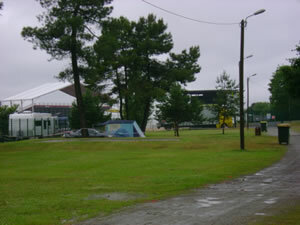 Originally the fun fair was very close by, but now this is a stage area for live music put on by the ACO during the race. Literally translated, this is the "red mound", the highest point around the track. Flooding is unlikely, but there may be a river flowing through your tent down the hill. Yes you can camp against the fence and see the track, but to be honest during most of the race you will just see other peoples backs, it also gets very noisy and not much privicy. When you get there look around the site and pick your spot carefully, slightly lower area's will get very wet if it rains hard, but that is better than most camp sites to be honest. I always camp against the wall, 30 seconds walk and you can see the cars. We arrive tuesday so see you there we will have the only daimler in the site for sure. 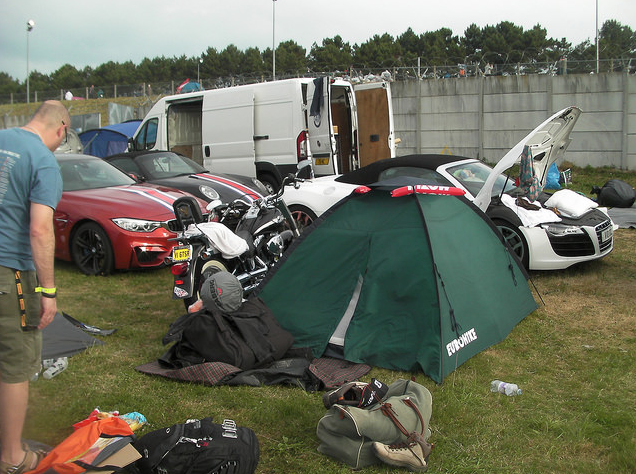 Rode down on the Harley and stayed with Team Langoustine again in 2015 just on the inside of Tet Rouge corner great private site, good security, the race cars respect the campers here as they all lift off the pedal to let us get some sleep - which is nice! 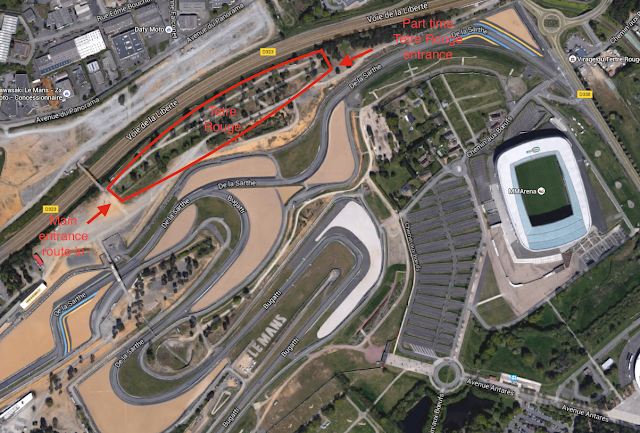 Use the main gate if you arrive before Wednesday pm, or if the gate on the Mulsanne straight is a problem (it wasn't). The gate on Mulsanne straight opens to pedestrians on Wednesday afternoon when the public road closes. Ground is not great but some areas have trees and shade. 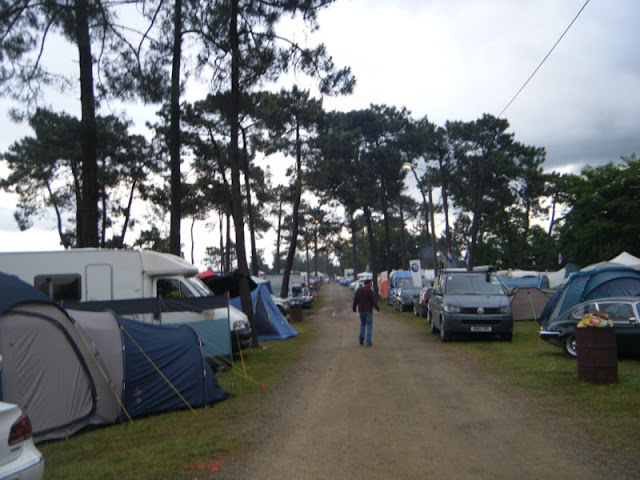 Tertre Rouge, as its name might suggest, is the highest point at Le Mans and drains quickly so never any problems with flooding even in the worst years. 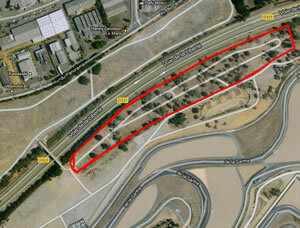 Easy access to track, Village, tram and town. 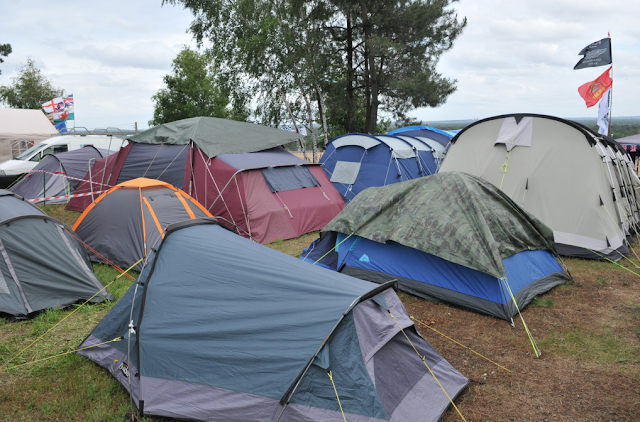 Facilities include two shower/toilet area's with mobile units. The cleaning ladies seemed to be there every minute, even at night, even after the finish! Only queues at rush hours! 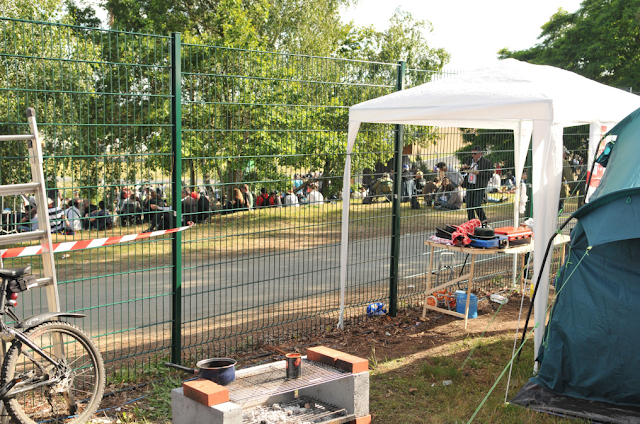 Power is available from toilet block but requires vast lengths of leads and connectors with several rolls of gaffer tape, or connect to nearby campers if they are already connected. Moderately quiet but always a few parties most nights, noisy during practice/race due to being right alongside the race track. Access to/from campsite by car during the race is possible but difficult. Want the latest information and answers to some questions about this place?